LOS ANGELES (AP) — A woman shot pepper spray to keep shoppers from merchandise she wanted during a Black Friday sale, and 20 people suffered minor injuries, authorities said. He said she was apparently after some electronics and used the pepper spray to keep other shoppers at bay. Officials said 20 people suffered minor injuries. Fire department spokesman Shawn Lenske said the injuries to least 10 of them were due to " rapid crowd movement." Parga said police were still looking for the woman. 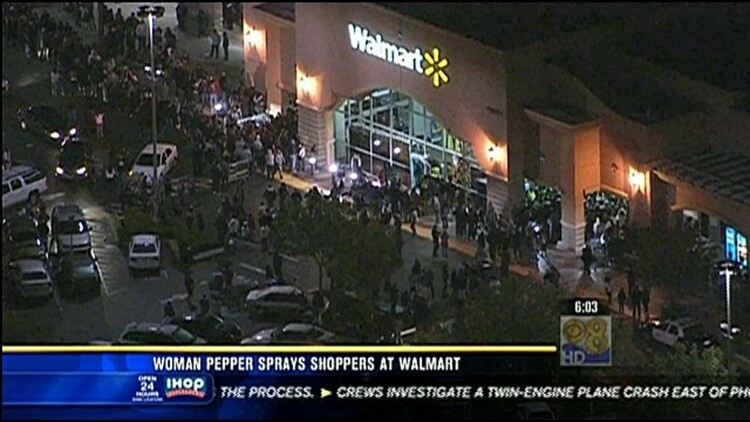 The store remained open and those not affected by the pepper spray continued shopping.